SINGAPORE - When she was about six years old, Sharon Tan was introduced to Roblox, an online multi-player game creation platform, by her older brother. All through her time in Wellington Primary School, she was hooked. Though Sharon didn't know how to design her own games, she loved the games created by other Roblox users, such as one that was a cooking simulator. Now the 12-year-old may get to learn how to create computer games when she is in secondary school. Sharon scored 103 in the Primary School Leaving Examination (PSLE) this year. But even before collecting her results on Thursday (Nov 22), she knew she wanted to go to Spectra Secondary School where her older brother Jason, 14, is currently studying. Spectra Secondary School is one of two specialised schools - the other being Crest Secondary School - for Normal (Technical) students. The two schools will introduce a new qualification called the Institute of Technical Education (ITE) Skills Subject Certificate (ISSC), where students can take two of five new skills subjects over Secondary 3 and 4. Currently, those in the two schools specialise in just one area. The five new subjects are: mechanical design and automation, culinary and restaurant operations, retail and e-commerce, as well as two areas that are offered to meet growing industry needs - Internet of Things applications and mobile Web applications. Students can try out modules in each skill subject in Secondary 1 and 2 before deciding which two subjects they want to specialise in. The ISSC will replace the ITE Skills Certificate courses - facility services, mechanical servicing, hospitality services and retail services. While Sharon's main reason in choosing Spectra is because of her brother and she intends to join his co-curricular activity (CCA), Media Club, she now has another reason for choosing the school - the course on mobile Web applications may teach her to design websites and programme computer games similar to those on Roblox. "It's nice to learn how to code games," she said. Sharon, who has dyslexia, was exempted from mother-tongue language classes in primary school. She also took English, Mathematics and Science at the foundation level. She is the most introverted in the family, according to Jason and her younger sisters Karen, 10, and Jeslynn, 6. The four children live with their parents and grandparents in a four-room flat in Admiralty. 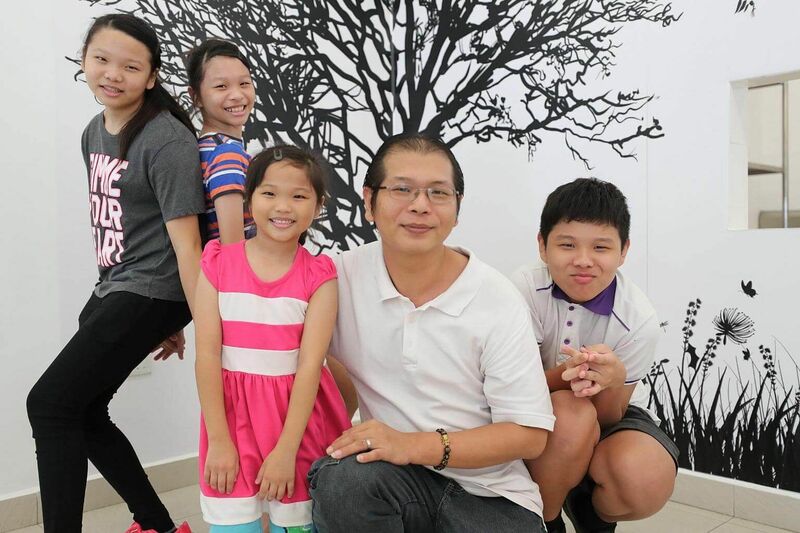 Her father Tan Yeong Giap, 42, is glad that his two older children have options such as those offered by Spectra. "How I wish I was not born so early. Last time, we didn't have these kinds of schools," said Mr Tan, a container equipment specialist who attended ITE College Central in Ang Mo Kio. He works 12-hour shifts and has little time to "manage" his children, he said. His 38-year-old wife is a cashier at NTUC. Spectra Secondary School principal Krishnan Aravinthan said the new skills subjects are meant to give the students a broader base of specialisations to choose from when they go on to ITE. "We don't want them to narrow their scope so early at an age where they are just discovering their strengths and talents," he said.